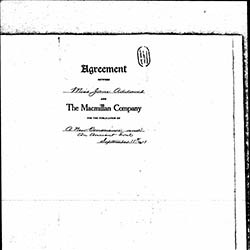 This Agreement, made the eleventh day of September 1911 between Miss Jane Addams of Hull House, Chicago, Illinois (hereinafter called "the Author") party of the first part, and THE MACMILLAN COMPANY of the City of New York, (hereinafter called "the Company") party of the second part. 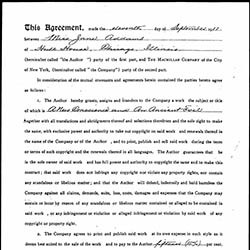 The Author hereby grants, assigns and transfers to the Company a work the subject or title of which is A New Conscience and An Ancient Evil together with all translations and abridgments thereof and selections therefrom and the sole right to make the same, with exclusive power and authority to take out copyright on said work and renewals thereof in the name of the Company or of the Author, and to print, publish and sell said work during the term or terms of such copyright and the renewals thereof in all languages. 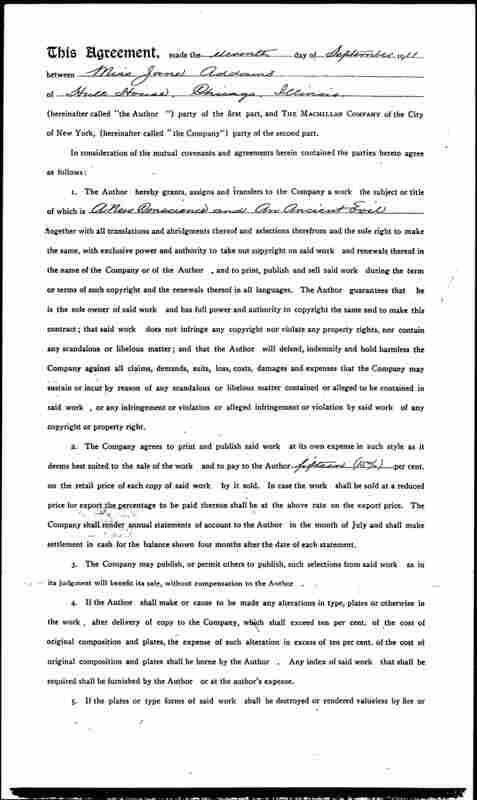 The Author guarantees that he is the sole owner of said work and has full power and authority to copyright the same and to make this contract; that said work does not infringe any copyright nor violate any property rights, nor contain any scandalous or libelous matter; and that the Author will defend, indemnify and hold harmless the Company against all claims, demands, suits, loss, costs, damages and expenses that the Company may sustain or incur by reason of any scandalous or libelous matter contained or alleged to be contained in said work, or any infringement or violation or alleged infringement or violation by said work of any copyright or property right. The Company agrees to print and publish said work at its own expense in such style as it deems best suited to the sale of the work and to pay to the Author fifteen (15%) per cent. on the retail price of each copy of said work by it sold. In case the work shall be sold at a reduced price for export the percentage to be paid thereon shall be at the above rate on the export price. The Company shall render annual statements of account to the Author in the month of July and shall make settlement in cash for the balance shown four months after the date of each statement. 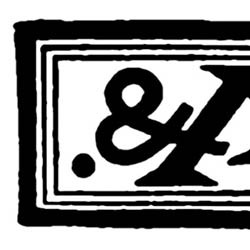 The Company may publish, or permit others to publish, such selections from said work as in its judgment will benefit its sale, without compensation to the Author. 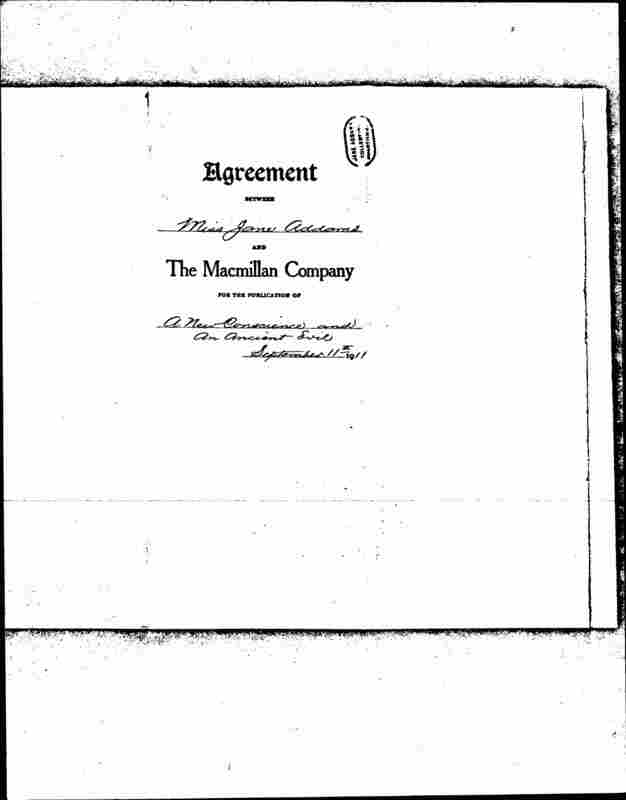 If the Author shall make or cause to be made any alterations in type, plates or otherwise in the work, after delivery of copy to the Company, which shall exceed ten per cent. of the cost of original composition and plates, the expense of such alteration in excess of ten per cent. of the cost of original composition and plates shall be borne by the Author. Any index of said work that shall be required shall be furnished by the Author or at the author's expense. 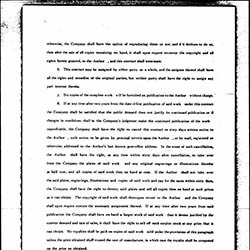 If the plates or type forms of said work shall be destroyed or rendered valueless by fire or [page 2] otherwise, the Company shall have the option of reproducing them or not, and if it declines to do so, then after the sale of all copies remaining on hand, it shall upon request reconvey the copyright and all rights herein granted, to the Author, and this contract shall terminate. This contract may be assigned by either party as a whole, and the assignee thereof shall have all the rights and remedies of the original parties, but neither party shall have the right to assign any part interest therein. 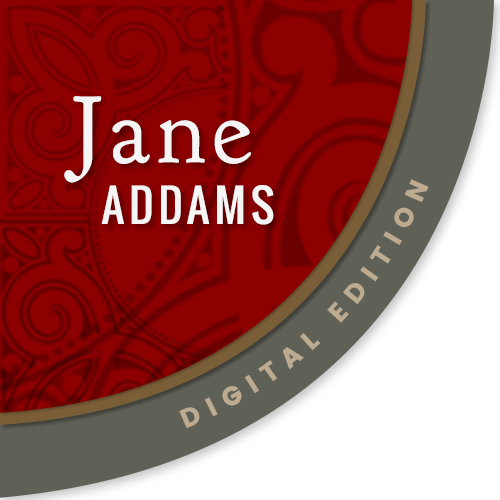 Six copies of the complete work will be furnished on publication to the Author without charge. 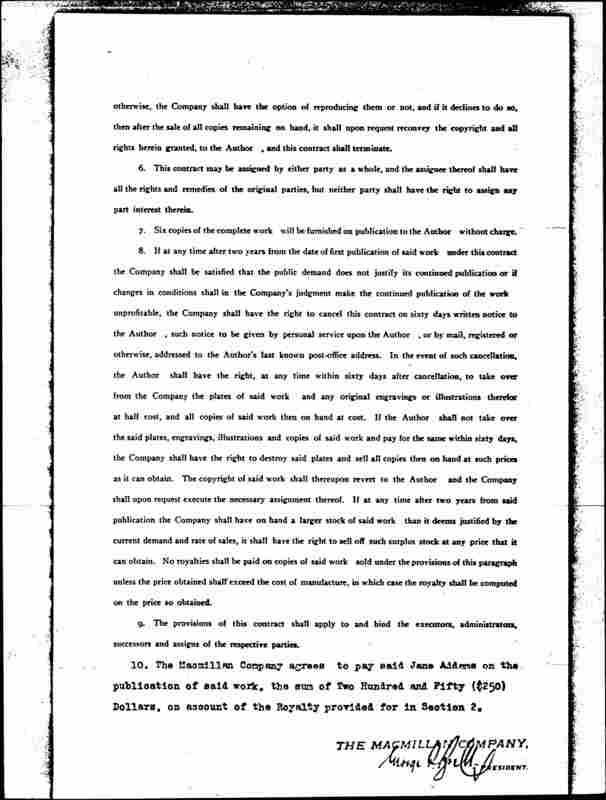 If at any time after two years from the date of first publication of said work under this contract the Company shall be satisfied that the public demand does not justify its continued publication or if changes in conditions shall in the Company's judgment make the continued publication of the work unprofitable, the Company shall have the right to cancel this contract on sixty days written notice to the Author, such notice to be given by personal service upon the Author, or by mail, registered or otherwise, addressed to the Author's last known post-office address. In the event of such cancellation, the Author shall have the right, at any time within the sixty days after cancellation, to take over from the Company the plates of said work and any original engravings or illustrations therefor at half cost, and all copies of said work then on hand at cost. If the Author shall not take over the said plates, engravings, illustrations and copies of said work and pay for the same within sixty days, the Company shall have the right to destroy said plates and sell all copies then on hand at such prices as it can obtain. The copyright of said work shall thereupon revert to the Author and the Company shall upon request execute the necessary assignment thereof. 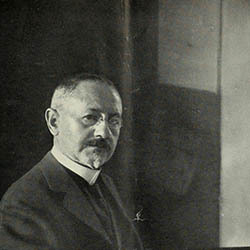 If at any time after two years from said publication the Company shall have on hand a larger stock of said work than it deems justified by the current demand and rate of sales, it shall have the right to sell off such surplus stock at any price that it can obtain. 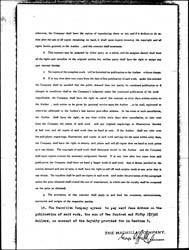 No royalties shall be paid on copies of said work sold under the provisions of this paragraph unless the price obtained shall exceed the cost of manufacture, in which case the royalty shall be computed on the price so obtained. The provisions of this contract shall apply to and bind the executors, administrators, successors and assigns of the respective parties. 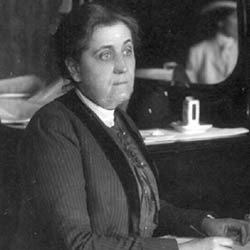 The Macmillan Company agrees to pay said Jane Addams on the publication of said work, the sum of Two Hundred and Fifty ($250) Dollars, on account of the Royalty provided for in Section 2. 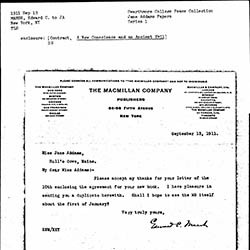 The publishing contract between the Macmillan Company and Jane Addams for A New Conscience and an Ancient Evil. 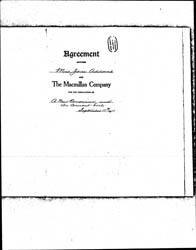 Macmillan Company and Brett, George P. , “Contract between Jane Addams and Macmillan Company for A New Conscience and an Ancient Evil, September 11, 1911,” Jane Addams Digital Edition, accessed April 23, 2019, https://digital.janeaddams.ramapo.edu/items/show/3381.